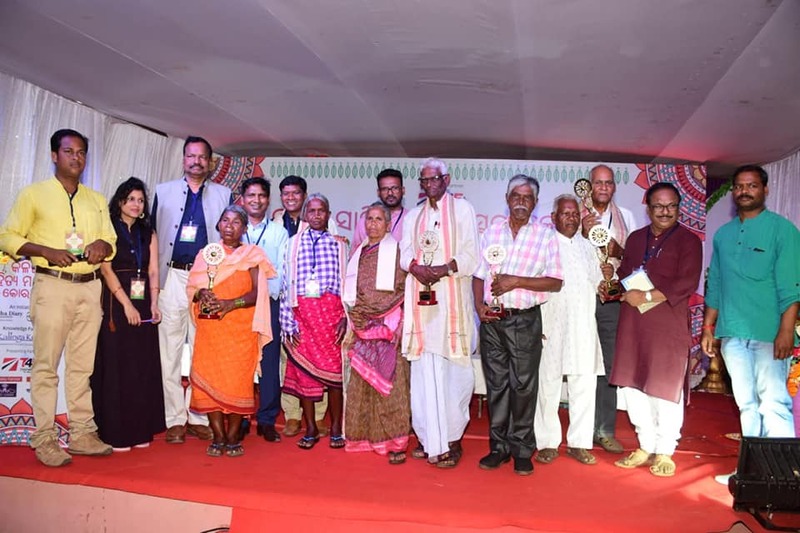 Kalinga Literary Festival in Koraput taught many writers on the values of the human being nurtured with nature. Those who consider the Earth and nature as their mother and those who consider the earth and nature as the commodity.Another point is togetherness of tribal literary tradition and their natural rendering. No individual identity is required if you have a community role. The community will recognise your creativity as a social necessity. Three women Sumani Jodia, Kamala Pujari ad Chandrama Balia are the daughters of nature and society. It is very difficult for those who don’t feel their thought and values.Noting is required except a piece of land and freedom.Fight for freedom is their literature. A quest for post-Gopinath Mohanty’s literature on Koraput is felt and Jaladhar Swain and Alok Boral highlighted quite well. One important thing I found Laxman Mandra, a Bonda man, a Baji Rout Chhatrabas student of Utkal Naba Jiban Mandal, of Anugol, was a teacher in profession writes about his own life and culture on Bonda, unravels the manifold myths and make-beliefs of those who wrote on Bonda. 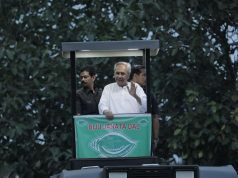 Odia language will survive in modern poetry, No doubt. 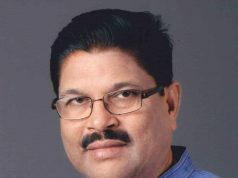 Mr Jhina HIkaka, A Delhi University educated MP, from Rayagada, danced with the tribal dancers and showed his togetherness.This is required, be educated and maintain the tribal identity, to respect the diversity of culture. KLF team is compared to a liberatory group of radical thinking, and praxis, ready to turn upside down and respect the humanity irrespective of literate and nonliterate, considering that human is organically intellectual. Kedar bhai, a critical interpreter of the time and mind has well anchored his session which is of any national and international standard. I enjoyed the function, but wish to expand it to other districts and regions to create a solidarity among the centre with peripheries. 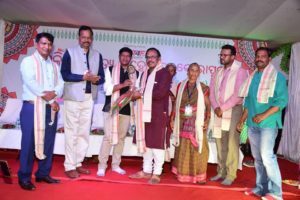 The organisers of Koraput are worthy of praise to connect the centre and peripheries and made Koraput the centre. Mr Krushna Singh and Mr Achyut Dashave given their sweat, blood and life for this land, without caring the red eyes of power. They are the ideal model of our time. Gopinath Mohanty wrote the novel, but these two fighters created history. To me, service to the disadvantaged is much more than writing on them.In Laxmipur ask any college student, if they know what is paraja and Amrutar santan, No. 95 % students cannot answer..
KLF has raised many moral and ethical questions to the writers on exploring the peripheries than the centre.